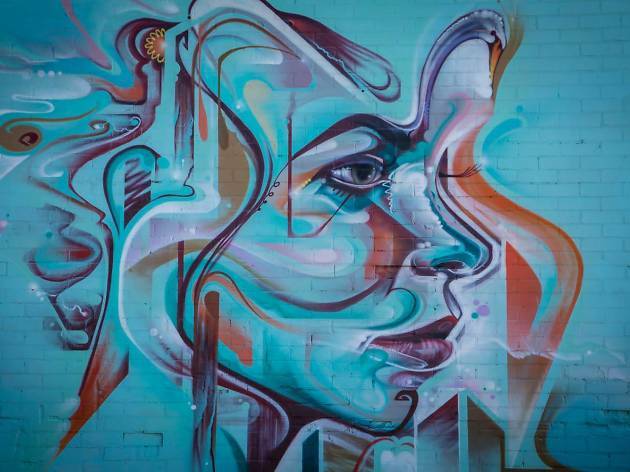 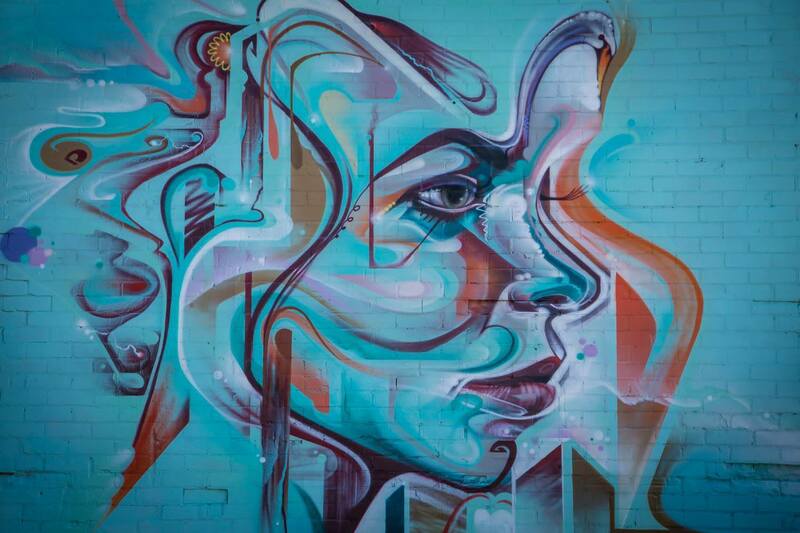 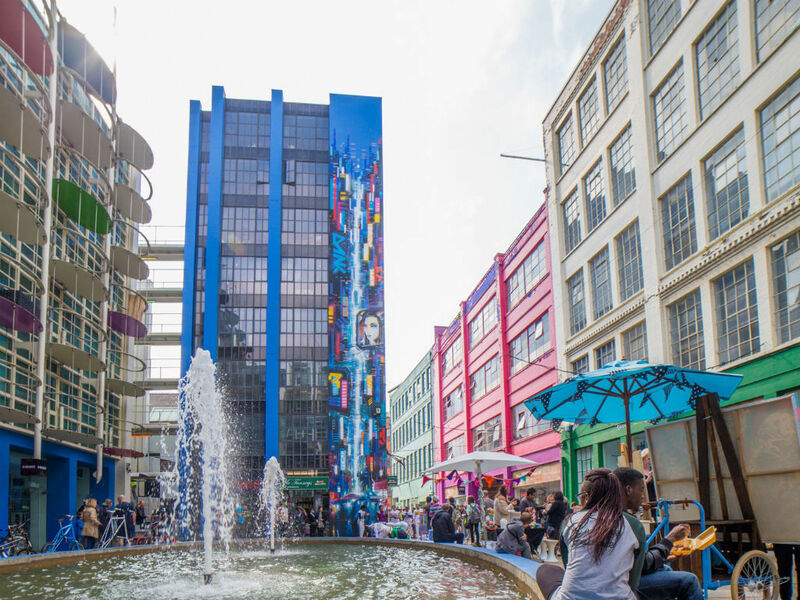 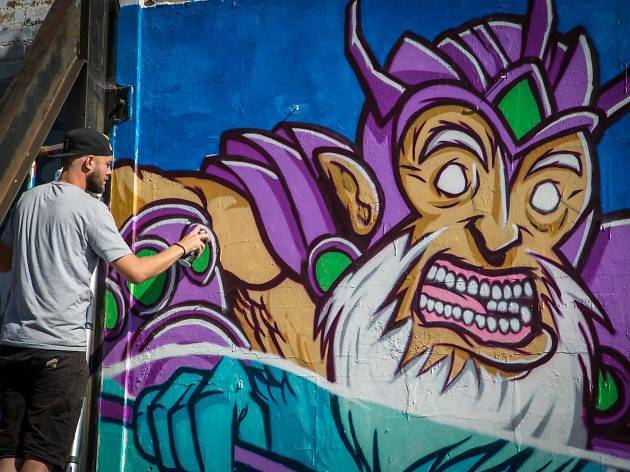 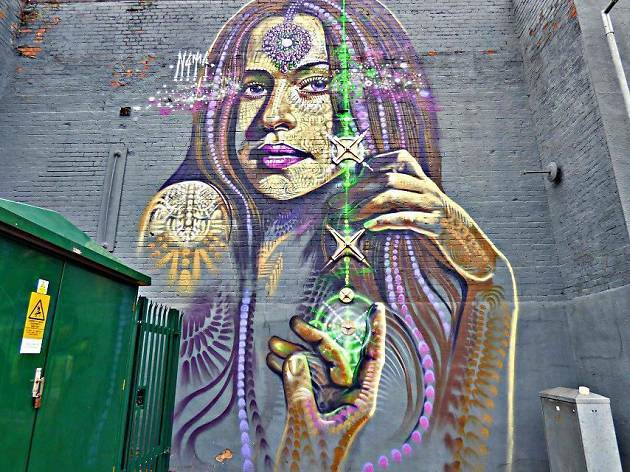 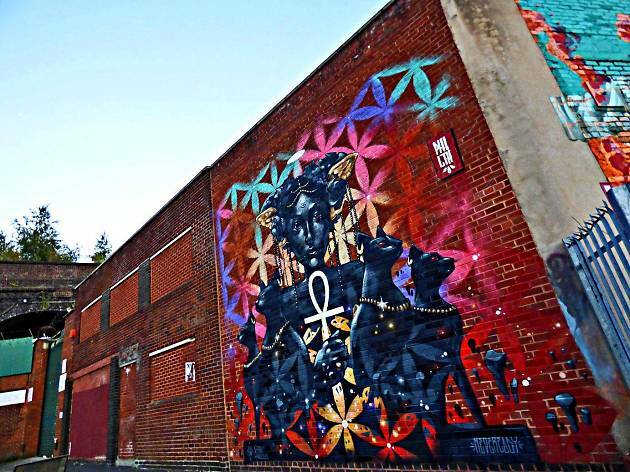 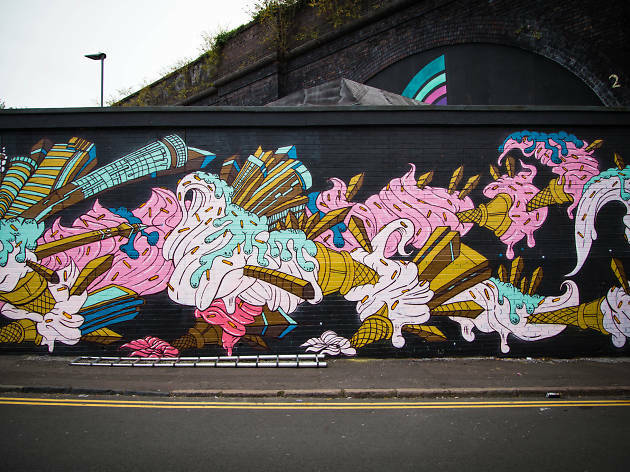 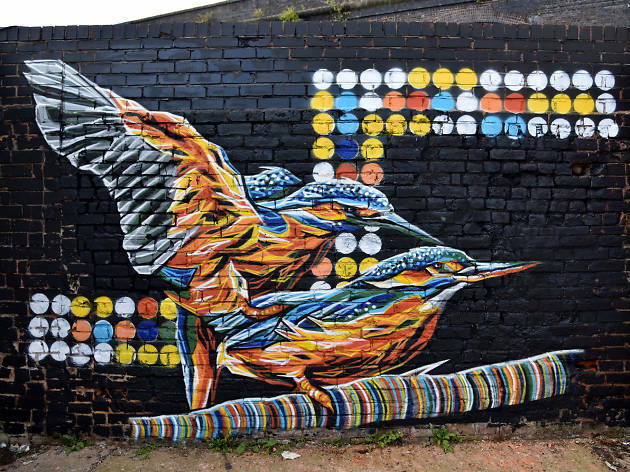 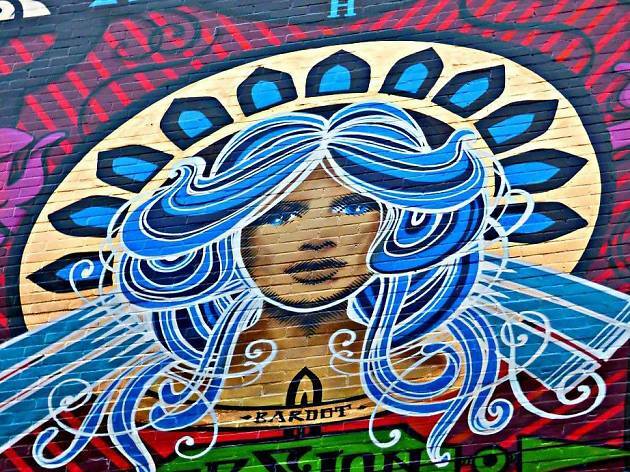 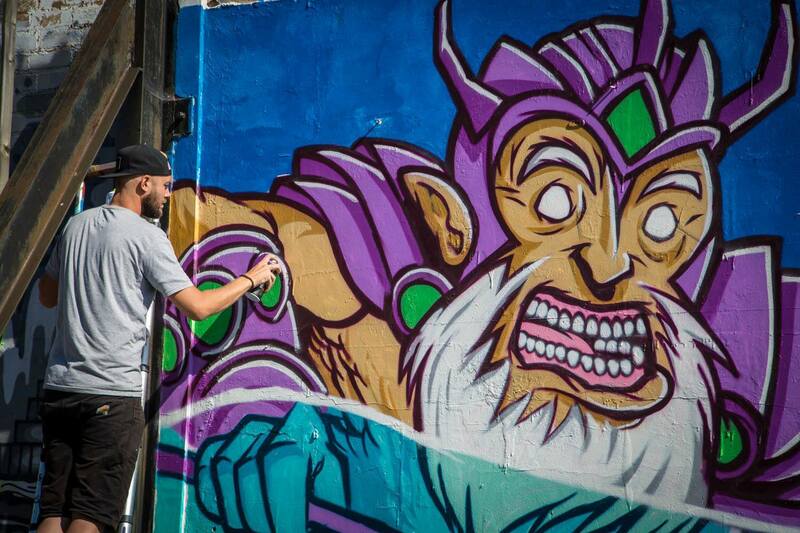 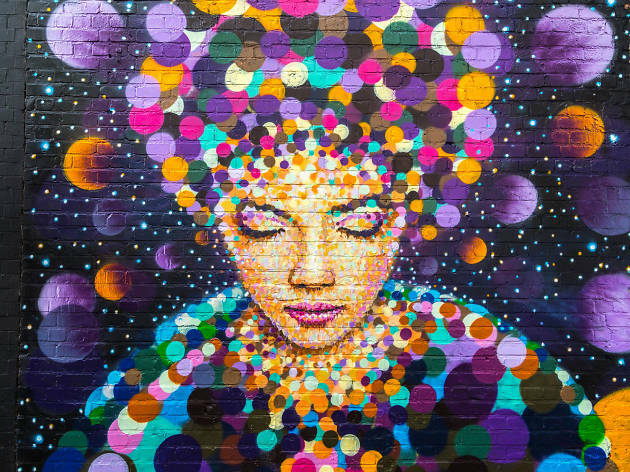 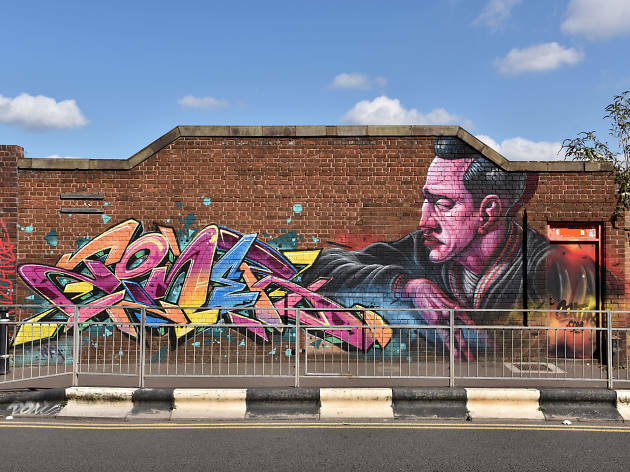 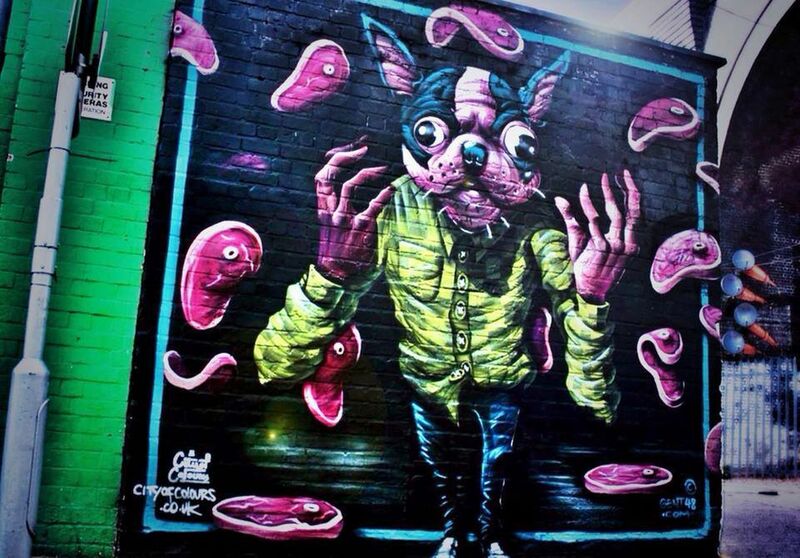 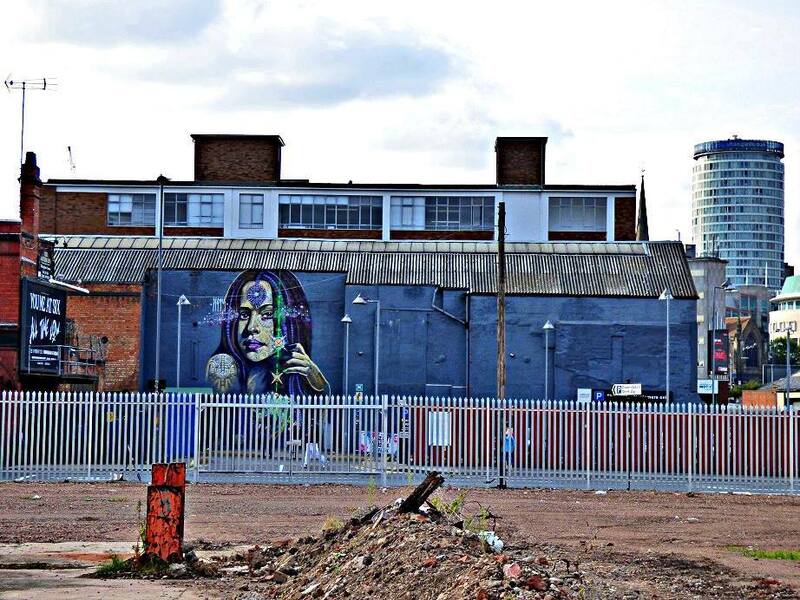 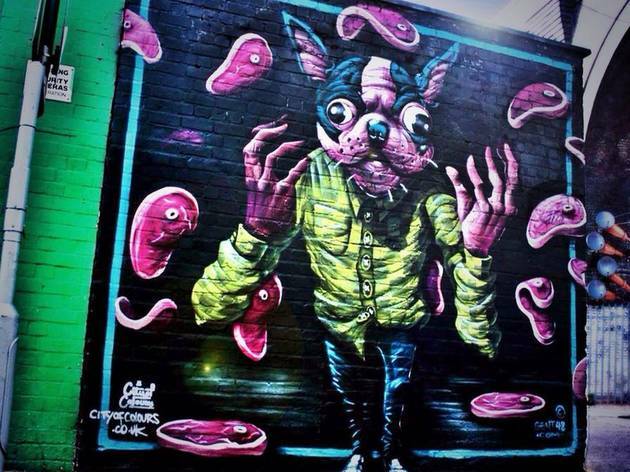 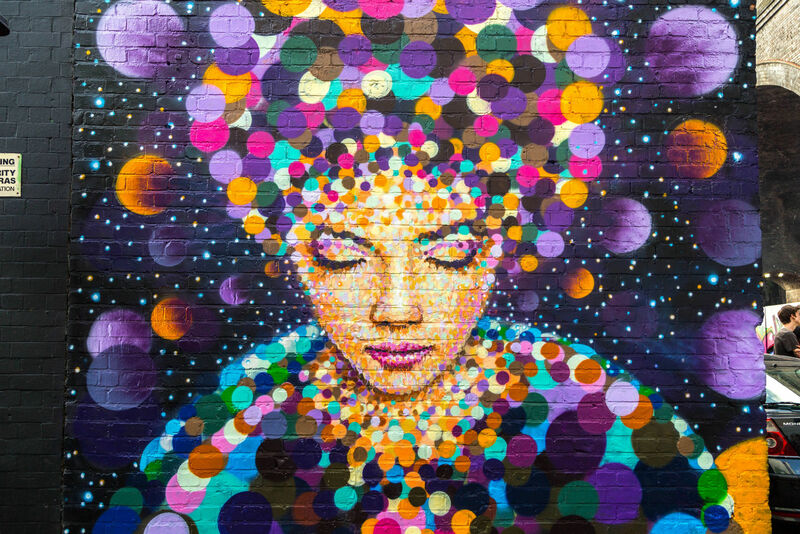 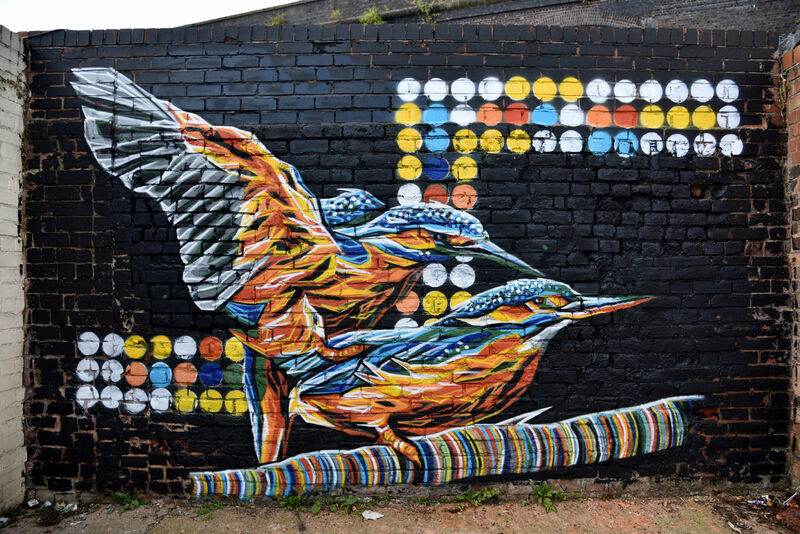 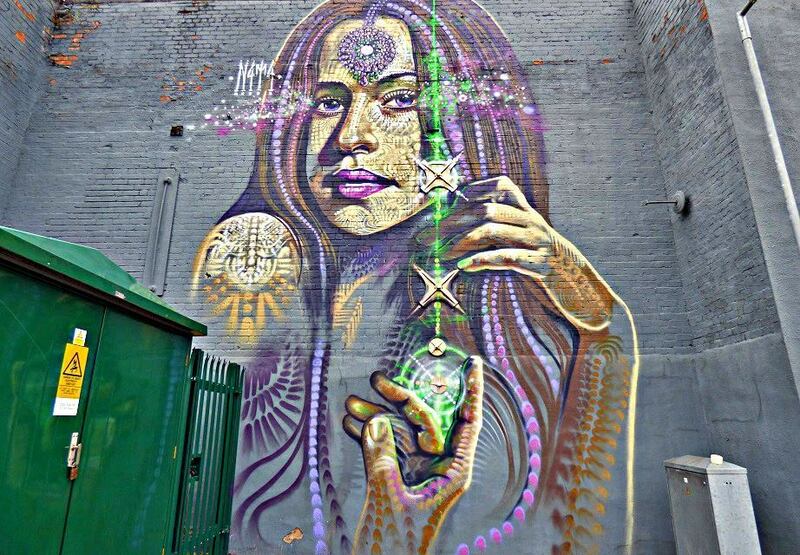 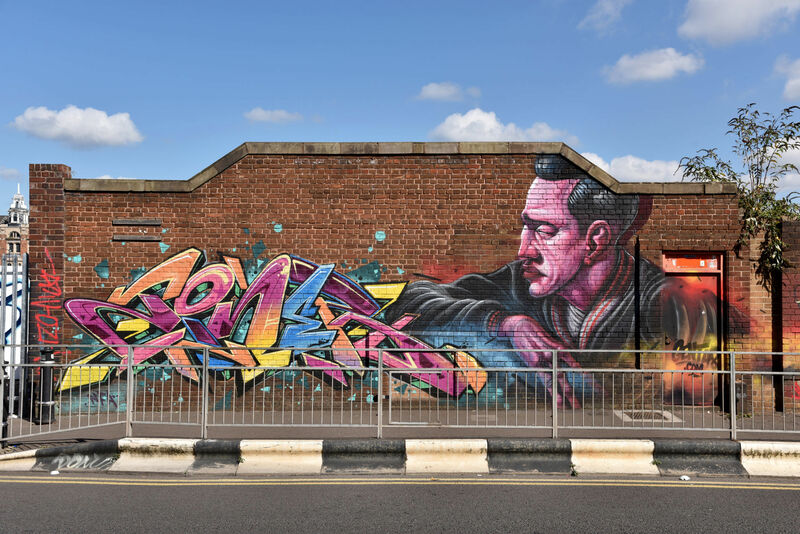 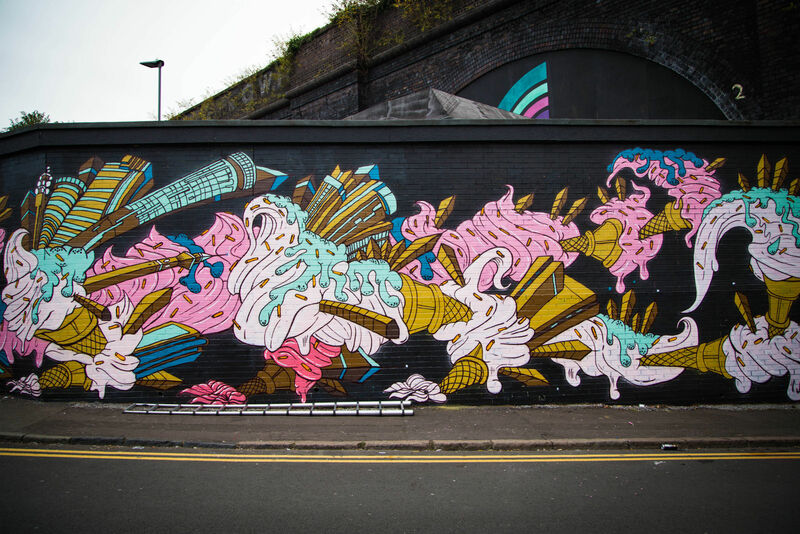 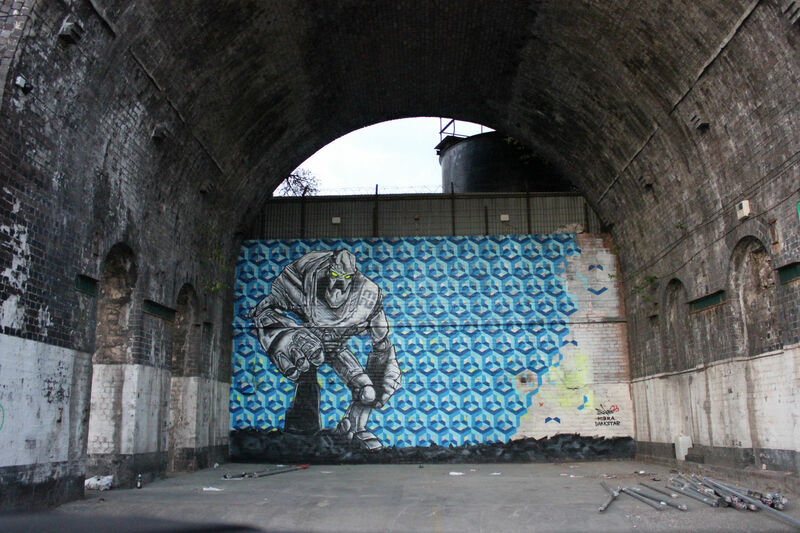 Last September, the City Of Colours street art festival saw the blackened walls and crumbling archways of Digbeth transformed overnight into enormous, awe-inspiring artworks by some of the UK's finest graffiti artists. In the process, one of the ugliest and bleakest parts of town was converted into a enormous open-air gallery to rival the likes of Melbourne and Bristol. 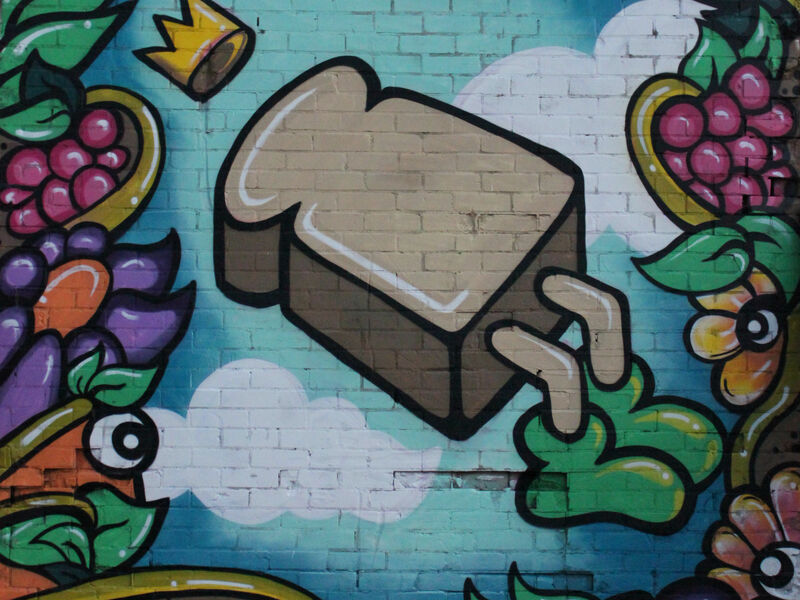 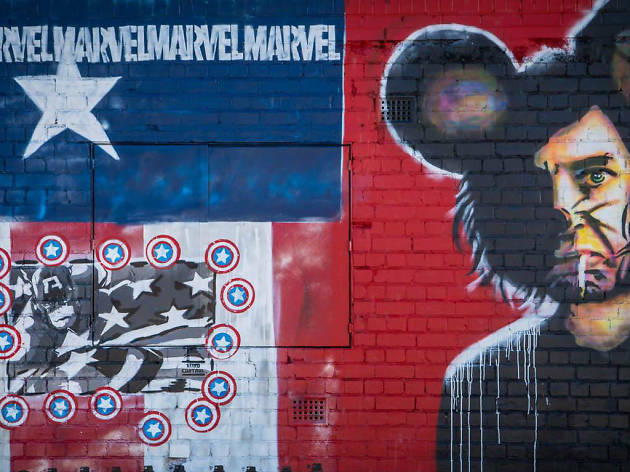 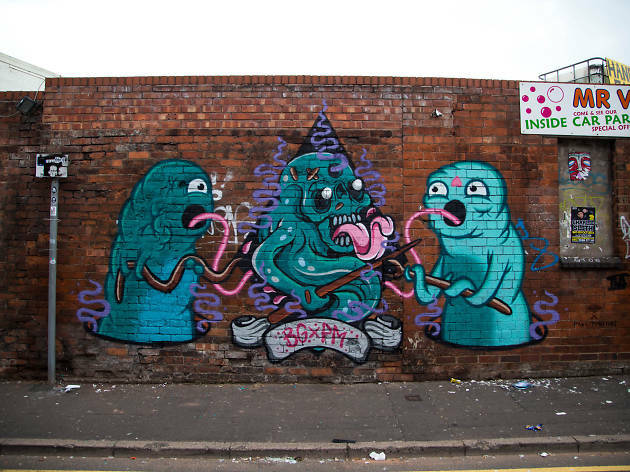 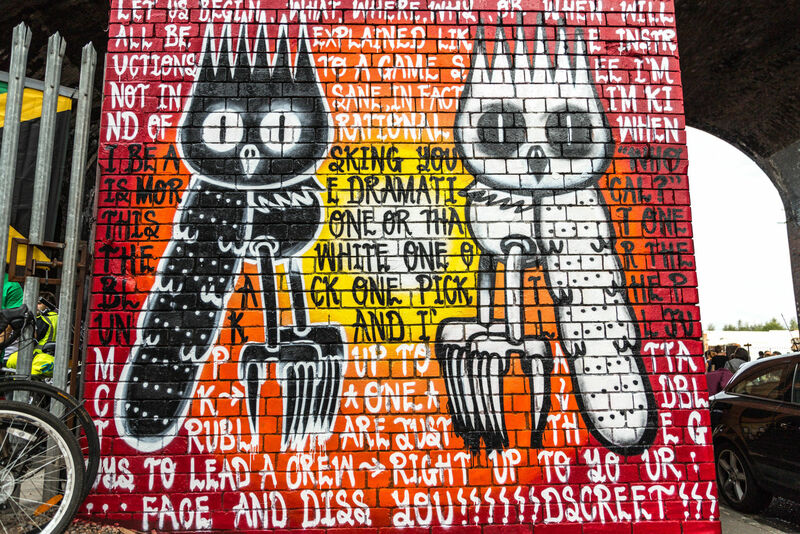 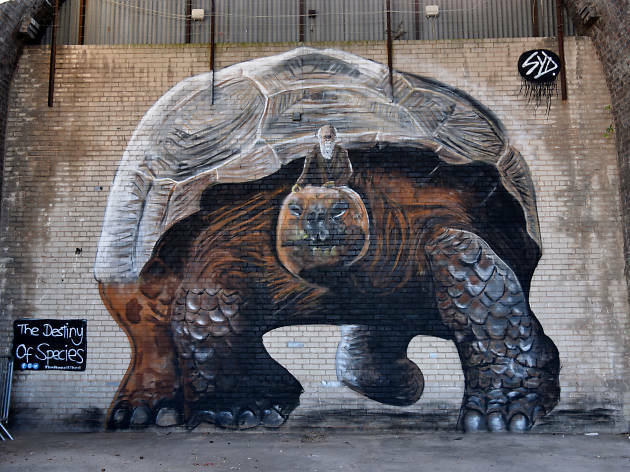 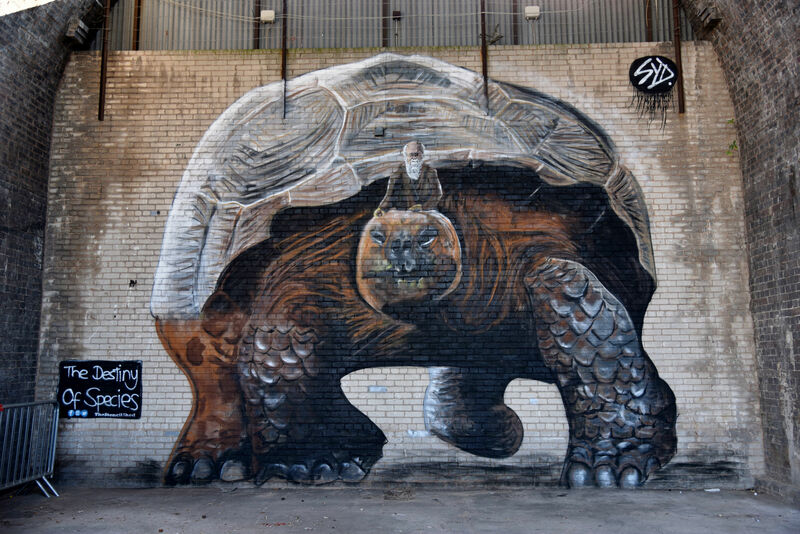 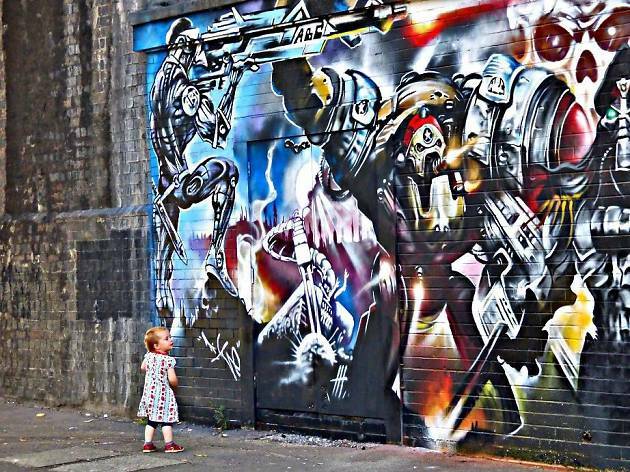 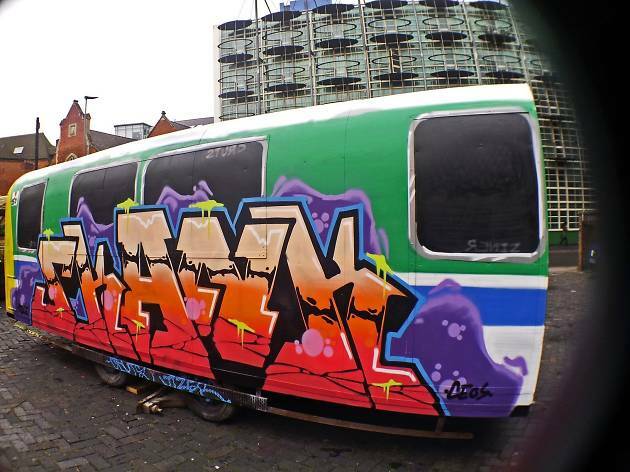 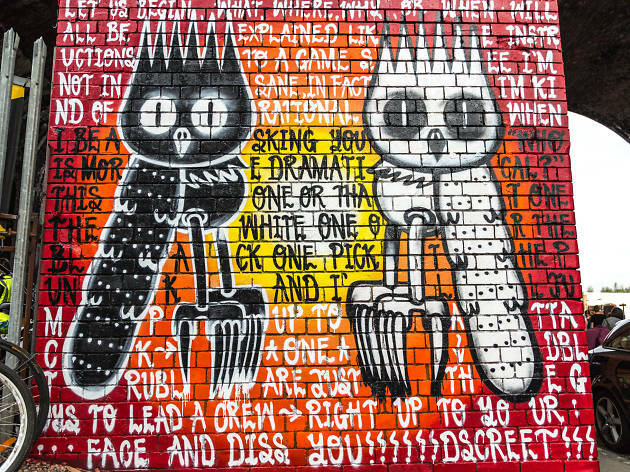 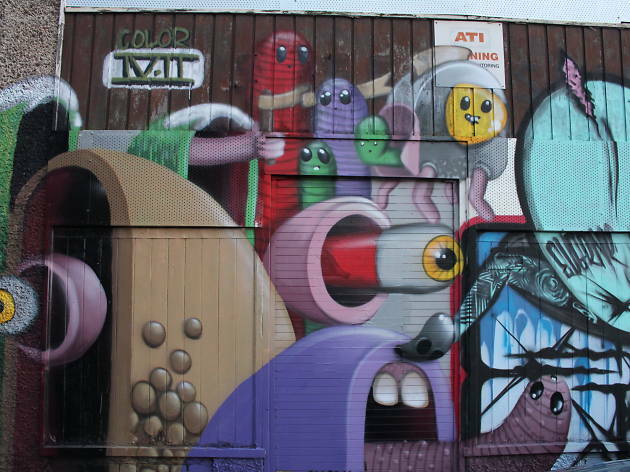 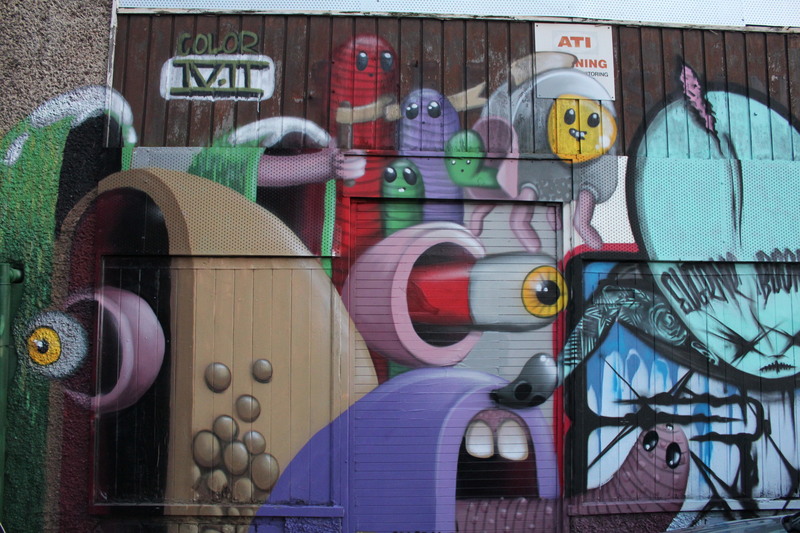 As the images in the below slideshow show, from a meters-high tortoise being ridden by Darwin, to abstract 'wild-style' letterings, cartoon characters and warring dystopian robots, the imaginations of the UK's best spray-can and stencil talents went truly wild in Digbeth that day. 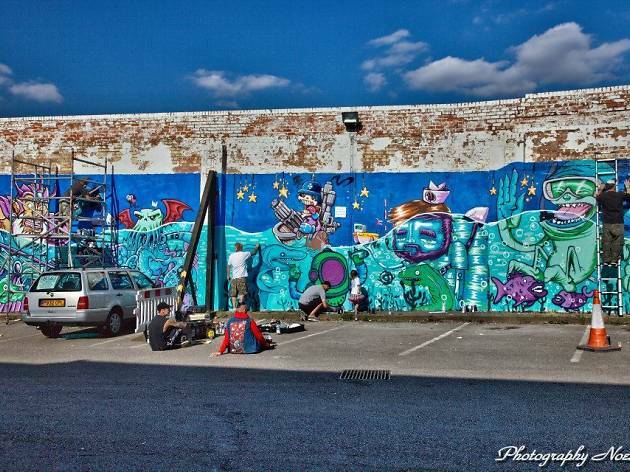 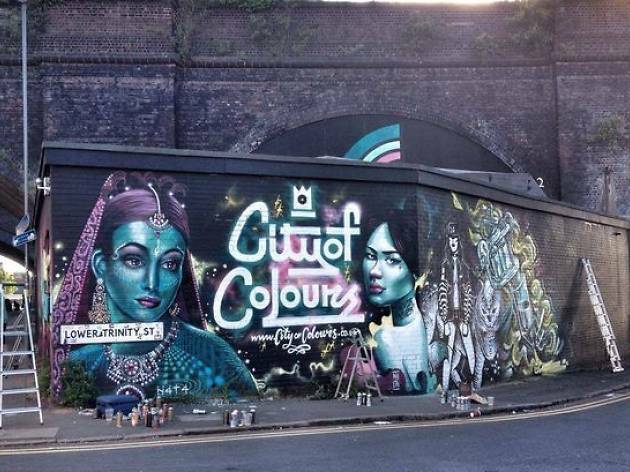 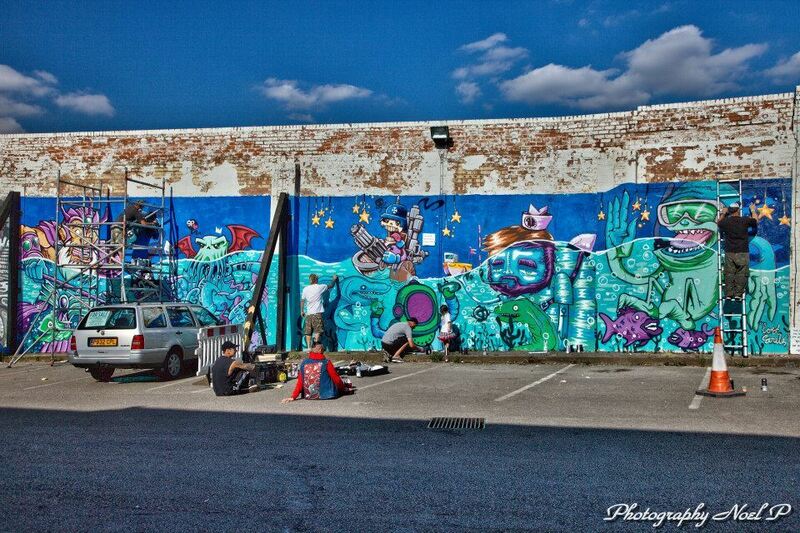 The good news is that plans for City Of Colours 2015 are now well underway. But it needs your help! 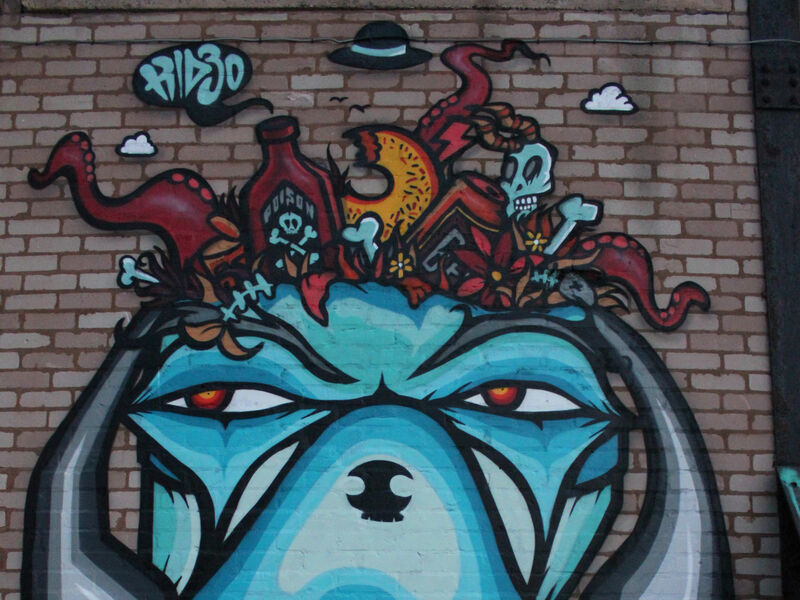 As a free event, with a huge amount of overheads, the festival relies entirely on sponsorship and donations from the public - which is where you come in. 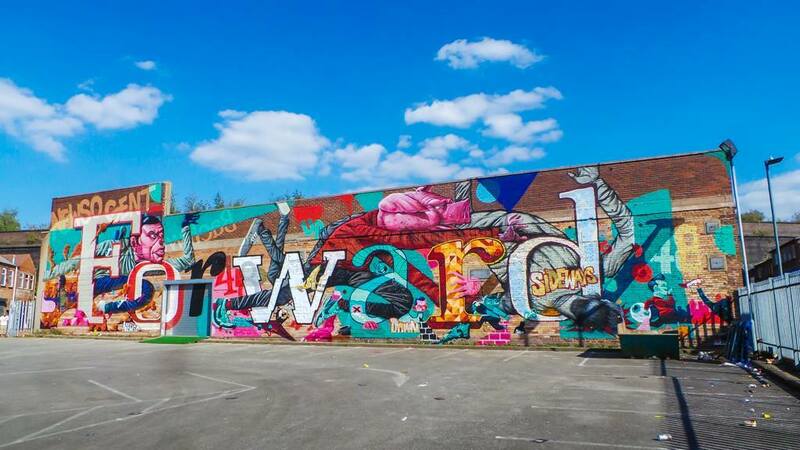 A Kickstarter campaign has just been launched to help make sure this year's event takes place. 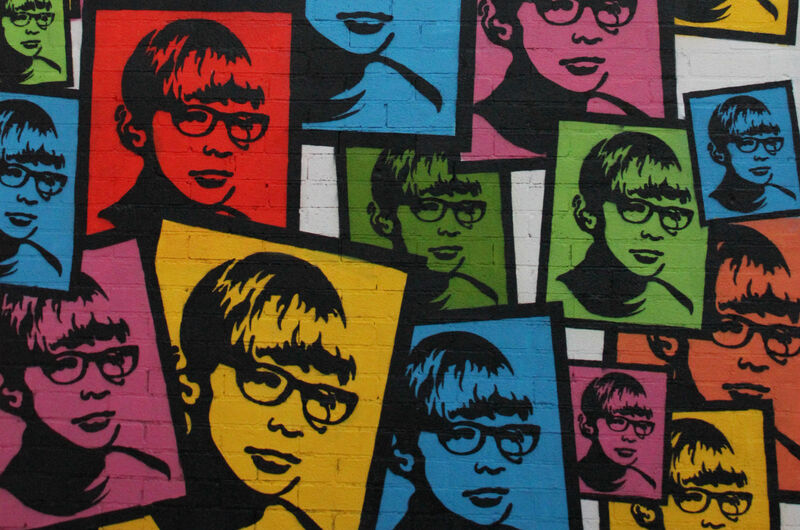 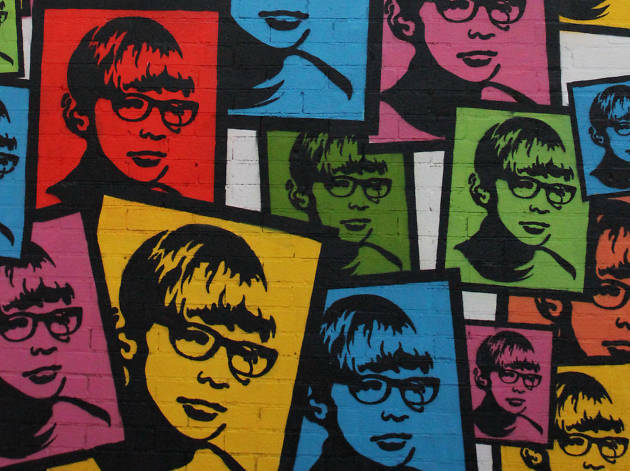 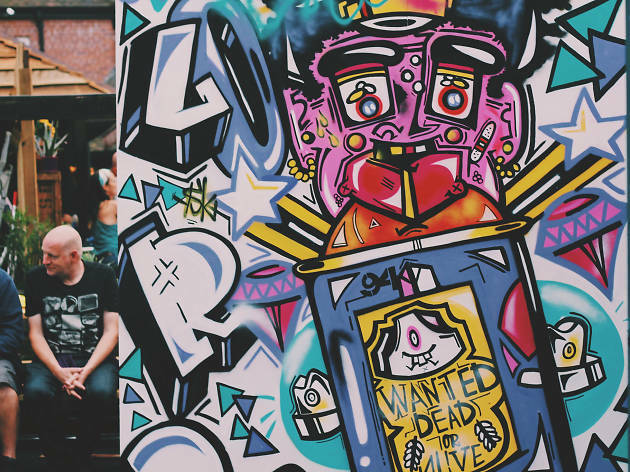 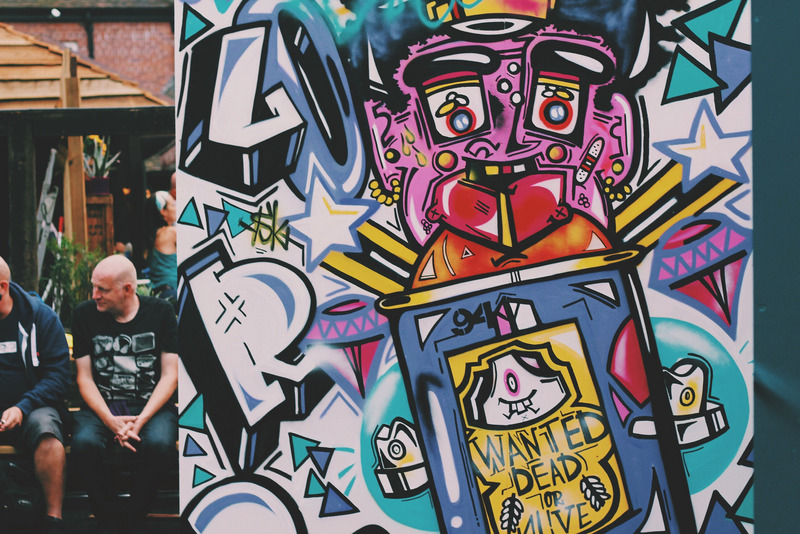 From tee-shirts and hand-numbered prints to official sponsorship packages, your donation will not only help support one of the UK's best street-art events, but give you something to hang on your wall forever. 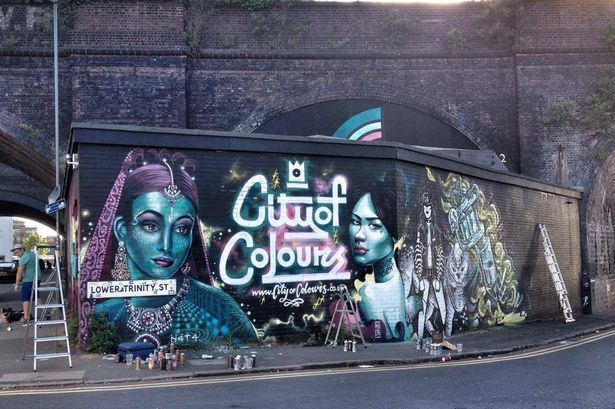 Head over to the City Of Colours website for more details and click here to back the Kickstarter campaign. 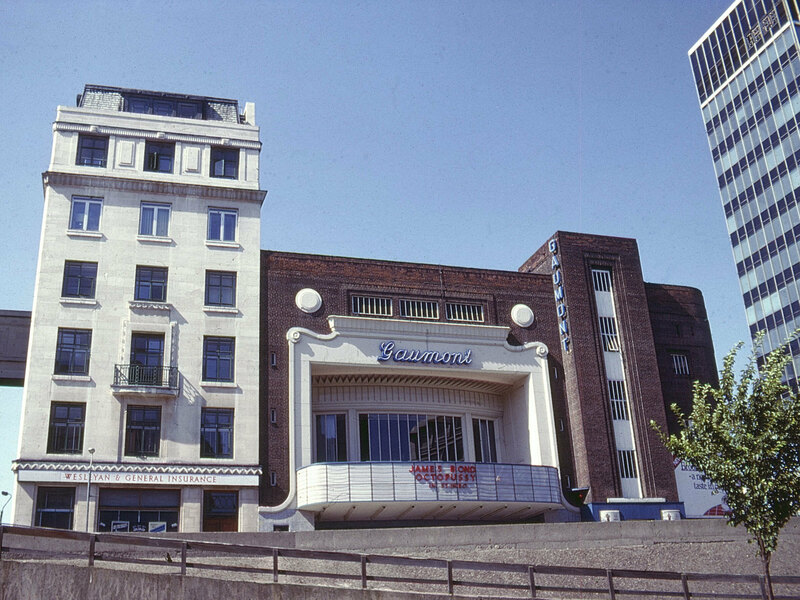 Andrew Miller took a Sunday morning stroll around Birmingham with his camera on August 13, 1983. 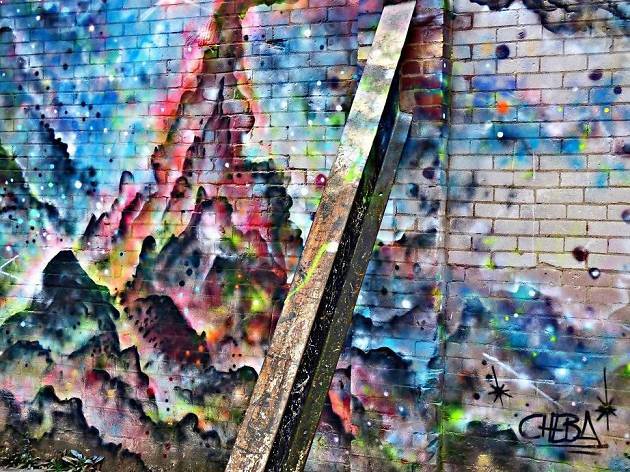 This is what he saw. 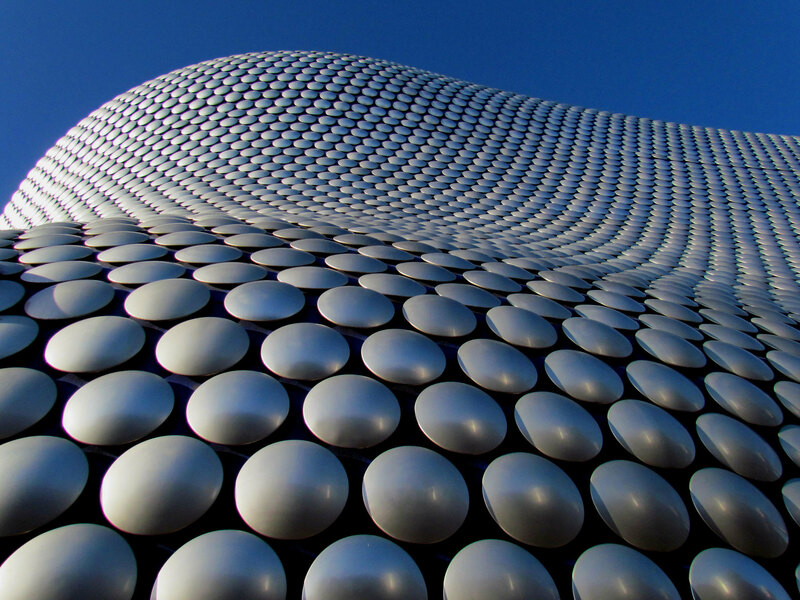 Birmingham is a city of beautiful architecture. 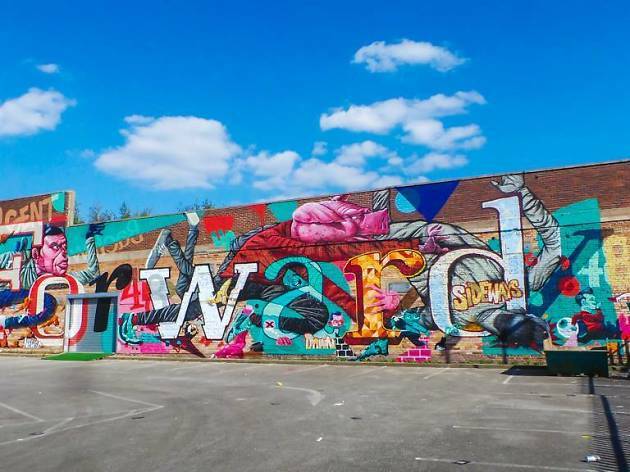 We've rounded up the boldest and most colourful photos of the city at sunset. 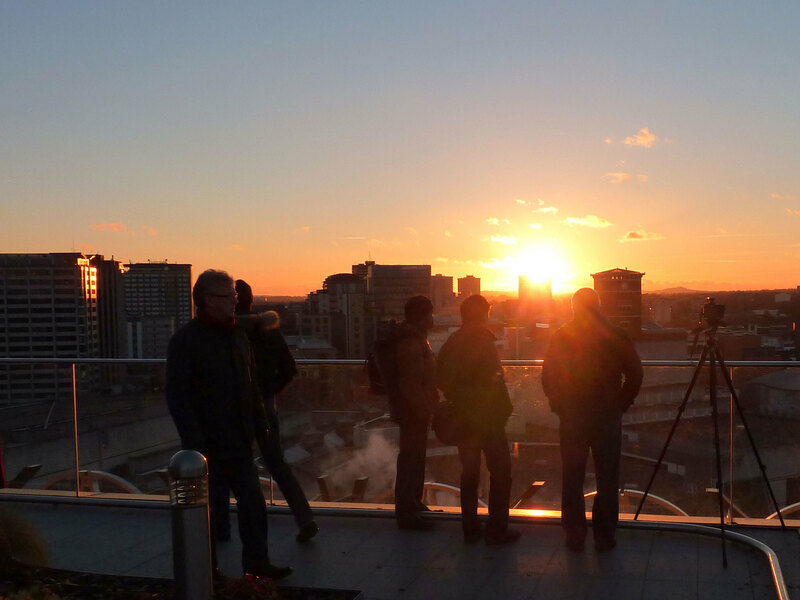 Birmingham's skyline has been transformed in recent years. We've rounded up some of our favourite photos of the city's newest landmarks.